The Northwest Power and Conservation Council was created nearly four decades ago with the passage of the Northwest Power Act in 1980. 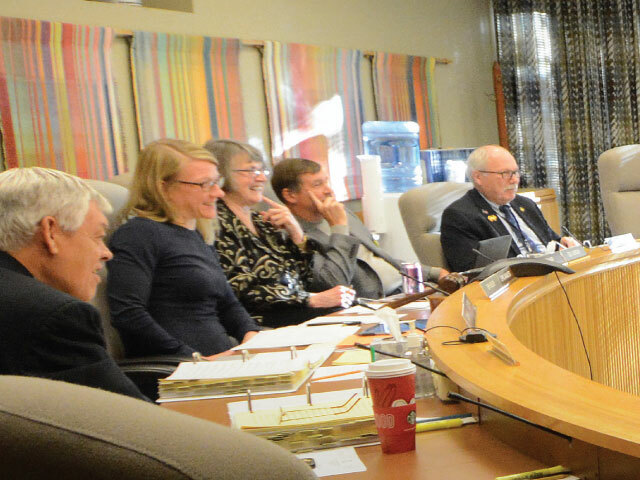 The eight-member council is comprised of two appointed members from Oregon, Washington, Idaho and Montana. Operating largely out of the limelight, the council holds hearings, analyzes trends and issues voluminous reports. Those involved in Northwest energy issues agree the council is a potent force with respect to regional energy policy. The council—and Oregon’s state senate—now has a markedly different look, as Oregon Gov. Kate Brown has appointed two new members from the state capitol: Sens. Richard Devlin and Ted Ferrioli. These appointments took many in Salem by surprise, as both men wielded considerable clout in their elected positions. Devlin, a Democrat from Tualatin, served in the Oregon Legislature for 21 years, and co-chaired the Ways and Means Committee that controls the state budget. Ferrioli, a Republican from John Day who represented most of Eastern Oregon, served for years as leader of the Senate Republican Caucus. Both men were confirmed by the Senate on November 15, 2017, after a genial confirmation hearing explored their experience working on issues related to the council’s role in the region. Ferrioli recited his work in the capitol authoring the landmark Northwest salmon plan and on the influential Natural Resources Subcommittee. “I’ve been deeply involved in water and power issues, which are two of the most critical issues for rural Oregon,” he said. Devlin also listed his work on the Natural Resources Subcommittee and noted his predilection to look closely at the issues, saying he had analyzed the budget of the Bonneville Power Administration in preparation for his appointment. “The governor believes in my work ethic and judgement,” he said. 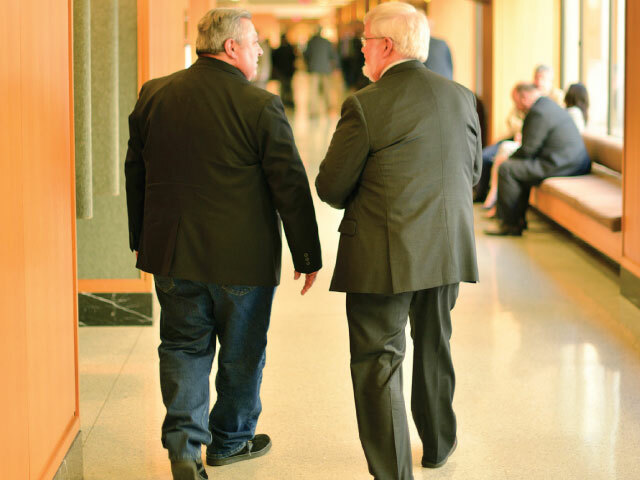 Ferrioli, left, and Devlin bring decades of experience in the State Capitol to their new position. The two join a council that has ongoing work developing the Northwest Conservation and Electric Power Plan. While the council issued the Seventh Power Plan in February 2016—based on a 20-year outlook—it is updated every five or six years. The council is scheduled to conduct a midpoint review of the current power plan in late 2018. These power plans are influential to BPA, which must act consistent with them when making resource and other planning decisions. Devlin and Ferrioli also represent a state that has been an outlier with other Northwest states with respect to salmon recovery. Unlike Idaho, Montana and Washington, Oregon continues to pursue legal action. Most recently, Oregon requested the court order more spill at eight federal dams. Federal fish experts have challenged the hypothesis that increasing spill could significantly increase adult fish returns, while customers of BPA have balked at the $40 million price tag that will harm low-income households. BPA also uses the council’s Power Plan to establish its share of the regional energy-efficiency target identified in the plan. In his statement before the Senate Rules Committee, Ferrioli listed access to low-cost hydropower as one of the economic drivers of Eastern Oregon, particularly with respect to irrigation. Ferrioli replaces Eastern Oregon lawyer—and current council chair— Henry Lorenzen on the Power Council, while Devlin takes the position held by former Oregon Secretary of State Bill Bradbury.